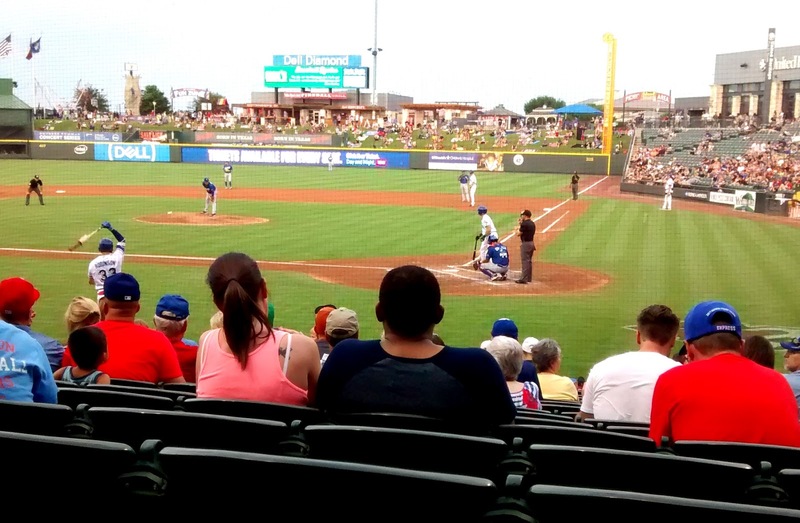 Austin Summer Fun: Take in a Round Rock Express Game! Take in a Round Rock Express Game! 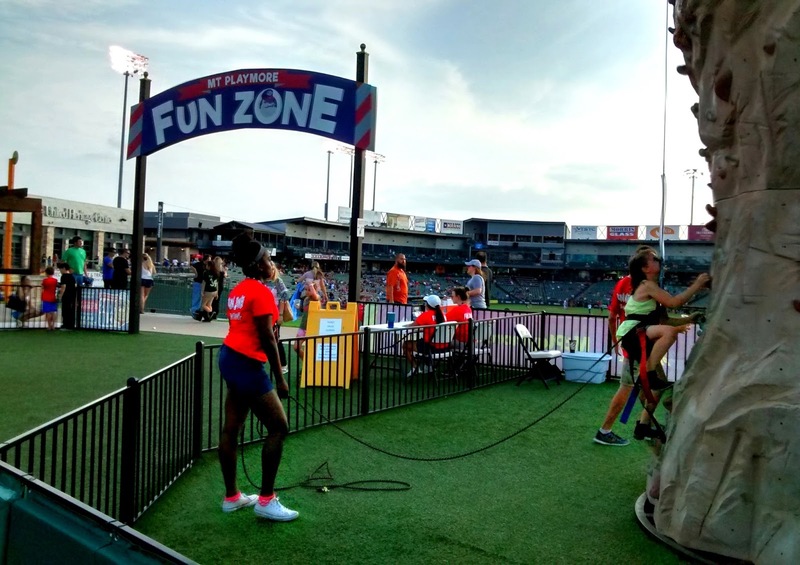 If you think your kids are too squirmy or too attached to their electronics to enjoy America’s past-time, the Round Rock Express will have you thinking again. Known as the 31st major league team, they enjoy widespread fame as the minors team that doesn’t know it’s in the minors – and are a grand slam on our 2017 Austin Summer Fun Checklist for Kids. From their perfectly designed stadium and Kid Zone, to their pool-party deck and private, nursing mothers’ room (with game live-feed of course) this team brings more to baseball than most. And while some may worry that such extras dilute the purity of the sport, all concerns are knocked out of the park with the vibe Express creates. There's no shortage of focus here. 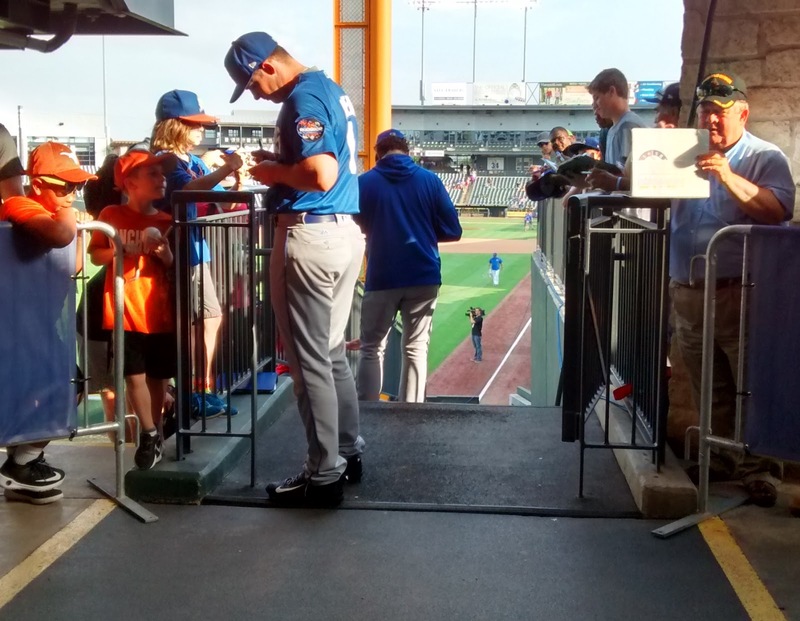 These players are beloved by fans that line the walkways to get an autograph – and unlike many in the sports world– these guys take the time and actually (low & behold) smile. Those same adoring spectators cheer each other on as well, vying for camera time in between plays and shamelessly indulging in a few mid-game waves. Our Advice: Get there an hour before the game and turn your kids loose in the Kid Zone. Rather than distract them from becoming baseball lovers, running their energy out before the game makes for eager little fans, happy to sink into those 3rd row seats, cause let’s be honest here – baseball is a chill sport to watch – but chill’s not exactly up your 4-yr-old's alley. Add to all the fun some truly good food and drink options (which are, dare we say it – affordable) and you actually can take your family out to the ballgame, without breaking the bank. Want to learn more about The Round Rock Express? Read about our 5 Favorite Things About the Round Rock Express here. Stay for Friday night fireworks - happening every Friday night home game after the game ends, and mark it off your 2017 Austin Summer Fun Checklist! Dell Diamond transforms into a magical kingdom, complete with all of your favorite princesses! Use code PRINCESS to receive special ticket options. Help protect Dell Diamond from evil by dressing as your favorite superhero! Use code SUPERHERO to receive special ticket options. Where: 3400 East Palm Valley Blvd. Round Rock, TX. When: Check the season’s calendar for all games and times.